Ernst Gruene was a true Renaisance Man of the Victorian Era. Interested in all things natural, this room has the bare wood walls of the initial construction. Native American Indian Artifacts decorate the walls of this room, and a prominent bay window enhances the structure. Named after the original settler’s wife, Antoinette Gruene was quite a woman, and I have hoped to capture her character in the décor of this room. Hanna, born to Ernst and Antoinette after their arrival in Texas, was the middle child. In her later years, she returned to care for her aging parents, and stayed in this room. This is the largest suite in the house. This room is in three spaces, the bedroom is in the original fachwerk house. Exposed brick and plaster highlight the cedar trunks from which the entire house is built. 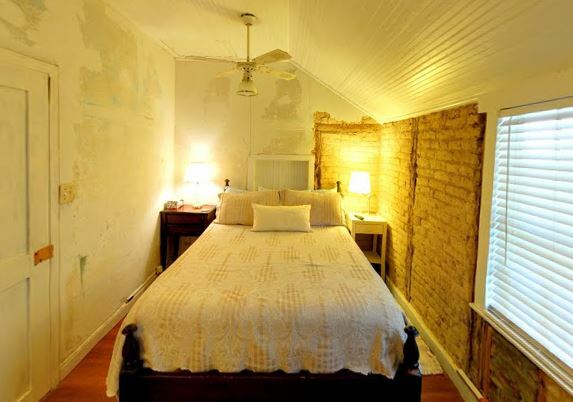 The room features a locally made walnut bed that dates to the time the house was built, wingback chair, dresser and flat screen television. The adobe brick and private entrance give the room a quiet and tranquil setting. 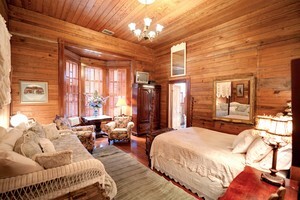 The Founder's Room was the all purpose room when built back in 1850. There was a sleep room above, but access was removed during the 1876 additions. 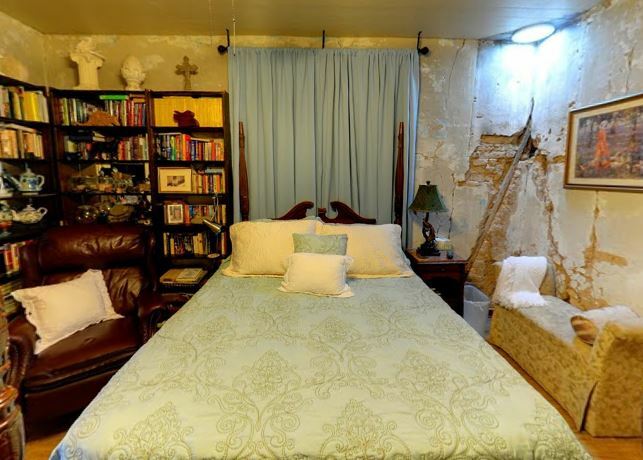 A queen bed, two comfortable arm chairs, flat screen TV and bookshelf with Native American artifacts adorn this room along with exposed brick and framing. The room has a bath with shower. Welcome to the oldest house in Gruene. Our charming inn is full of history with lovely gardens and a large porch to enjoy a cold glass of your favorite beverage on a warm summer afternoon. 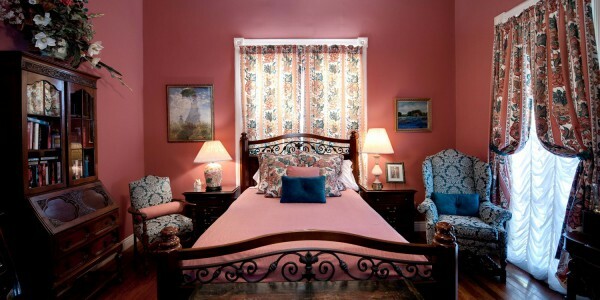 We have many antiques with modern amenities, which will make for a very memorable stay. 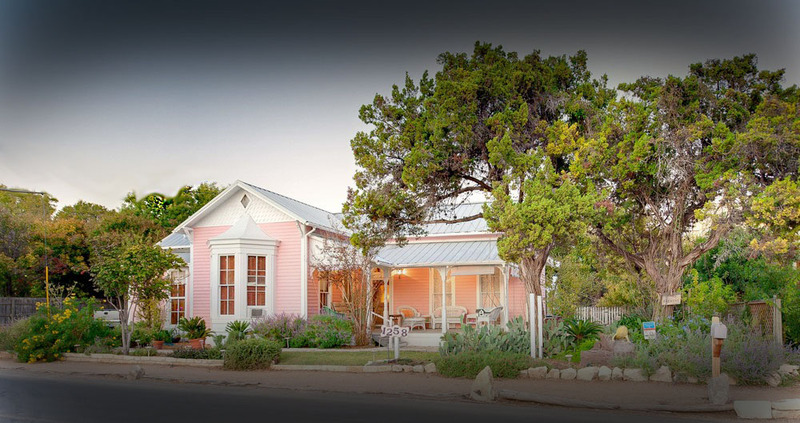 This delightful little cottage is in the center of the wonderful village of Gruene. We are located less than 200 steps from Gruene Hall, whether you sashay, two-step, polka or schottische. 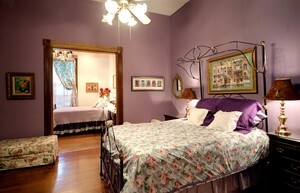 The house has 5 guestrooms of distinction, with unique en suite baths, exquisite landscaping and a charming patio and outdoor spaces, claw foot tubs, and ceiling fans. The oldest area of the house pre-dates the Civil War (1840-50), with other rooms added in 1872, and 1880. Several era heirlooms and professional decorations, with modern amenities, will make this a getaway that you won’t forget anytime soon. Come on down and see the many things New Braunfels has to offer. Our lovely New Braunfels Texas Bed and Breakfast is located near the Guadelupe River area and offers an excellent place to observe hummingbirds. We have many attractions to see including the Schlitterbahn Waterpark and once a month we have Gruene Market Days where you can help support our local vendors.